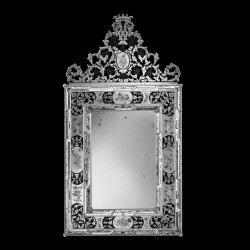 If you want a basic silhouette for your mirror, this one offers a nice rectangular shape but not with additional details. 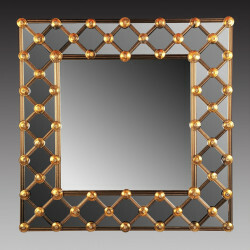 The gold trim adds a touch of class on this otherwise, spare design. 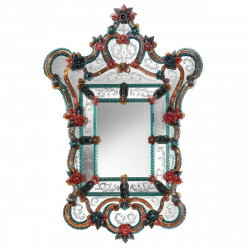 The frame is paneled with top quality hand engraving and the beautiful, genuine Murano glass completes the look. 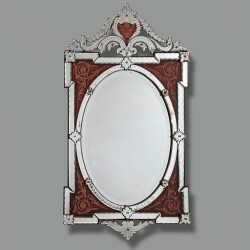 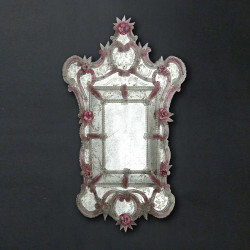 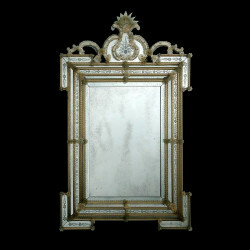 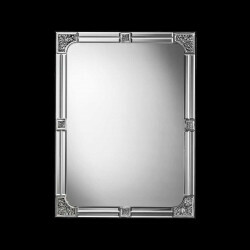 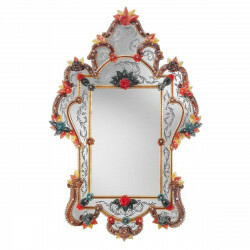 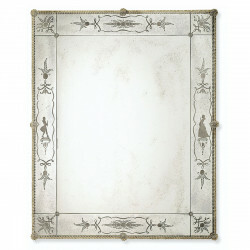 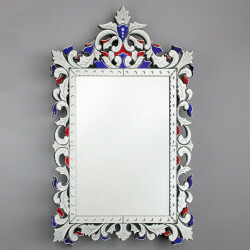 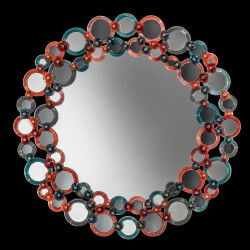 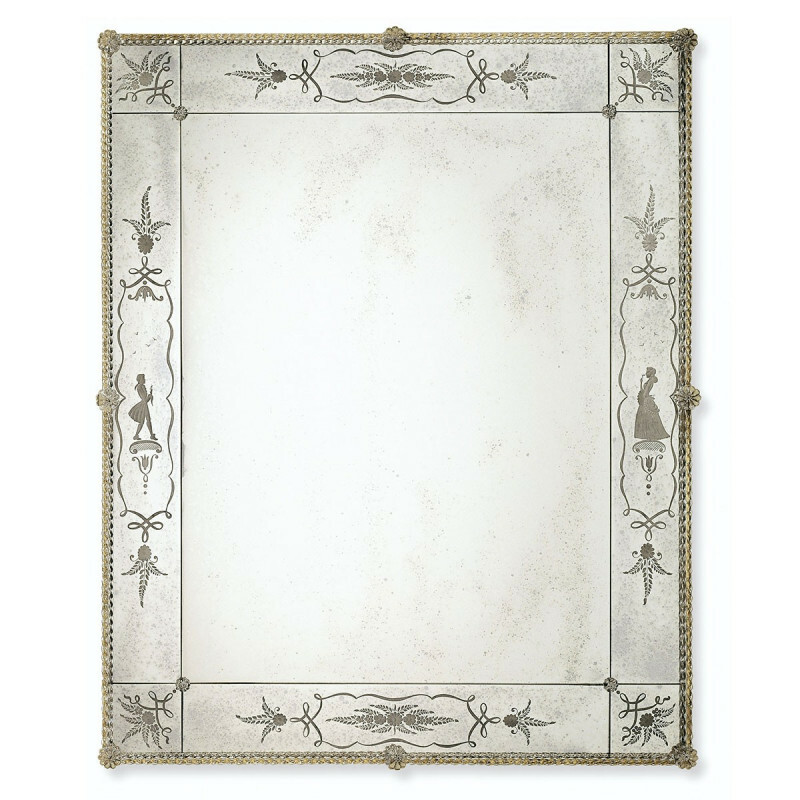 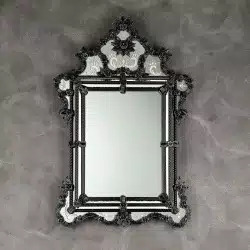 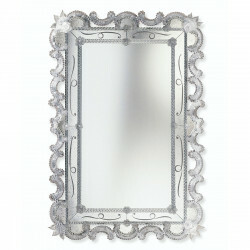 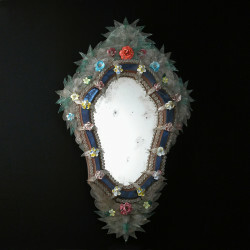 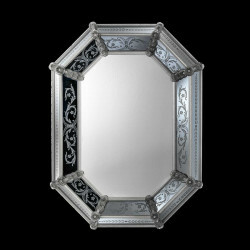 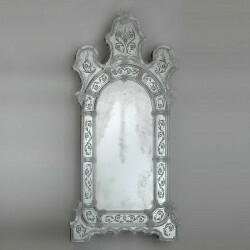 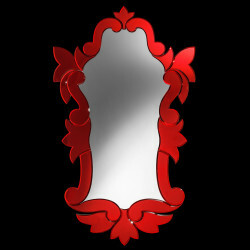 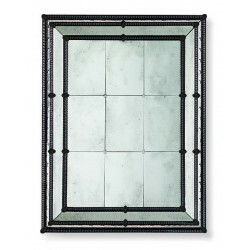 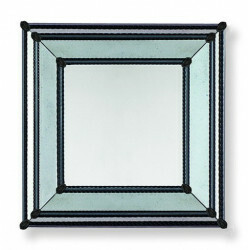 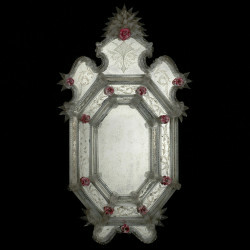 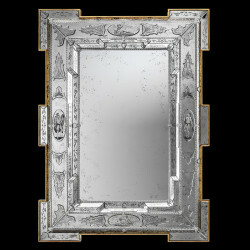 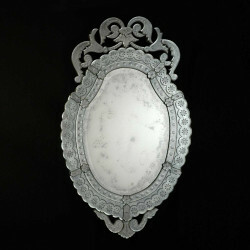 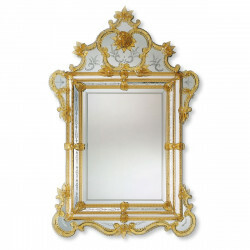 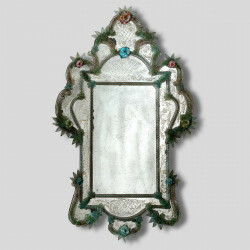 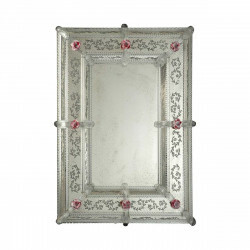 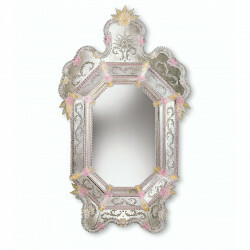 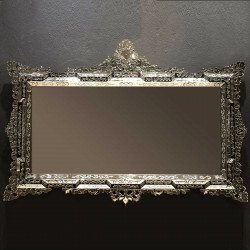 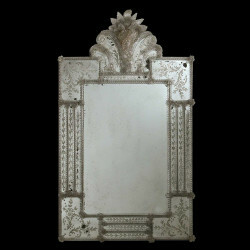 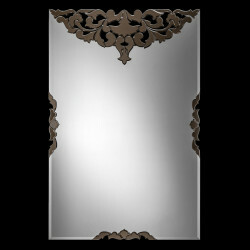 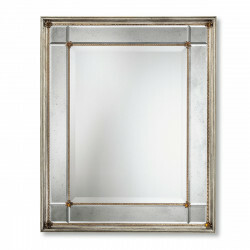 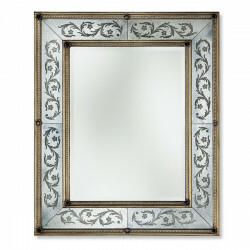 This authentic Venetian mirror is all you need to enliven your room.